Now you have more reason to hit up the airport – even if you’re not going anywhere. 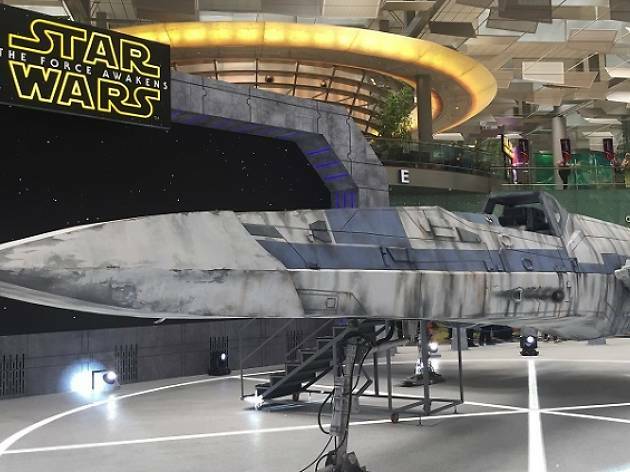 Check out the life-sized X-wing at Terminal 3 – where weekly shows starring starfighter X-wing pilots and Imperial Stormtroopers will take place every Saturday at 4pm until January 2 – or feast your eyes on a scale model of the TIE fighter at Terminal 2. Plus, if you spend a minimum of $70 at shops in the airport’s public areas, or $150 in the transit areas (in a single receipt), you’re eligible to purchase any of the eight limited edition plushies at $6 each. 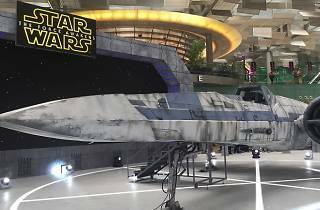 Characters include Yoda, Chewbacca, Vader and Boba Fett.